FIrst things first, so let’s start by installing the Sailfish OS SDK. It is available from the official Sailfish OS site, please see: https://sailfishos.org/wiki/Application_SDK_Installation. In addition to the SDK you will need the VirtualBox software from Oracle (needed for building the applications and then running the applications in the emulator), I downloaded version 4.3.12 from https://www.virtualbox.org/wiki/Download_Old_Builds_4_3_pre24 (according to the SDK installation instructions there may be issues with the current v5 virtualbox). While installing the SDK to my Windows 10 laptop I tried several different virtualbox versions, for some reason most of those did not even start. However, the version 4.3.12 seems to work well. 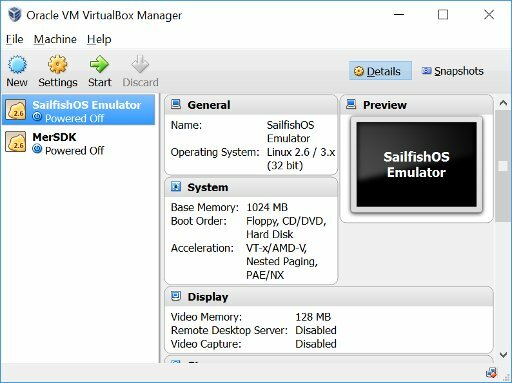 When the virtualbox and the SDK have been successfully installed you can try to run the virtualbox and you should see two virtual machine definitions (SailfishOS Emulator and MerSDK). If you get this far you should be able to run also the SDK successfully. 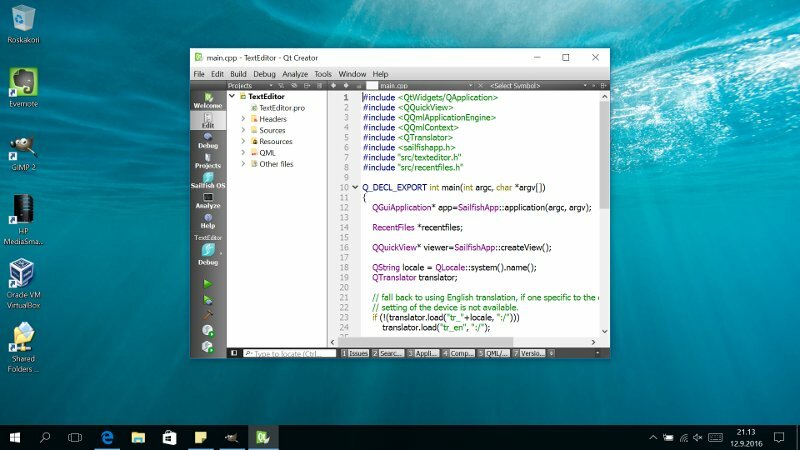 Looks like we are now running Qt Creator 3.5.0 with Qt 5.5.0.